Pacific Rim meets The Martian in the explosive follow-up to Sleeping Giants ("One of the most promising series kickoffs in recent memory." --NPR) and Waking Gods ("Pure, unadulterated literary escapism." --Kirkus Reviews). 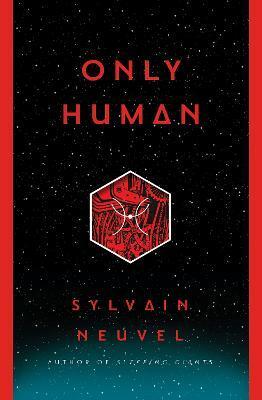 "Series fans will be eager for [Sylvian] Neuvel's ever-so-satisfying conclusion to his rip-roaring science-fiction adventure tale." --Booklist "It is one of those stories that stirs something up inside, makes you question the world around you, and lingers long after it is over. . . . I cannot recommend this series highly enough." --Read and Wander "The perfect ending to an amazing trilogy"--Three Piece Heart "An epic and thought-provoking ride from beginning to end." --Teri Polen "What a perfect end Only Human was to an incredible trilogy. It was emotional, deep, and satisfying. . . . This will be a story that lingers, and one that really made me think about my place in the world, and what it means to be human." --I Blame Wizards "Compulsively readable." --eMissourian "Thought-provoking"--W.A.R.G. Sylvain Neuvel is the author of Sleeping Giants, Waking Gods, and Only Human. He is a linguist and translator based in Montreal. He is at work on an R2-D2 replica and his next novel.